Meet one of our staff workers, Stefania! From Colombia to the U.S. 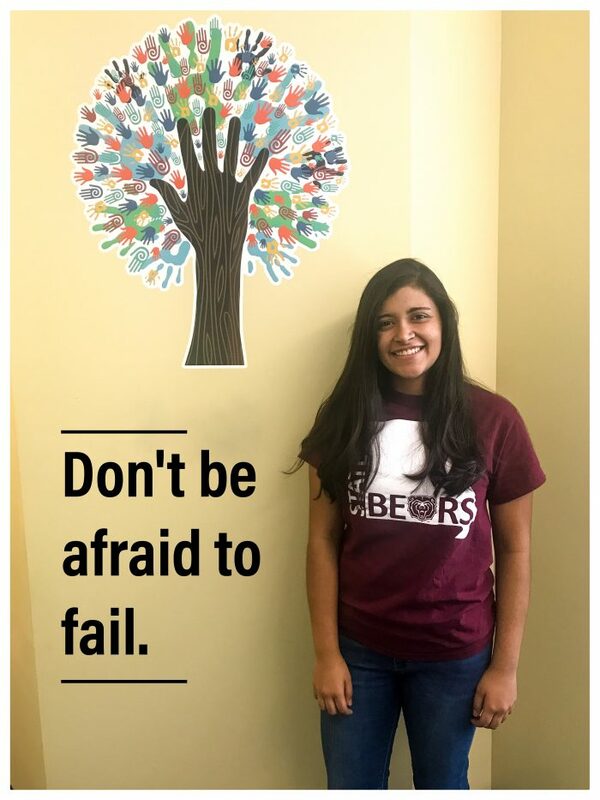 Originally from Colombia, Stefania Arias Cifuentes first came to Missouri State University in January 2015. At the time, she had been studying Finance and International Business at Universidad Tecnológica de Bolivar. Then, she traveled to the United States to take senior classes at MSU where she later returned for her Masters in Project Management. After taking classes on innovation, leadership, and finances, Stefania graduated with her Masters from MSU in May 2017. Still a student, Stefania got a job as a front desk assistant in the International Services department. Later, she received a Graduate Assistantship working with another department. This position eventually led to her current position as the Admissions and Logistics Specialist for the Special Programs department at the English Language Institute. Today, Stefania works behind the scenes for many of the programs at the ELI. She communicates with students before they come to the U.S., coordinates field trips, plans housing and meals, and checks on payments. Basically, she makes sure that our programs run smoothly and that everyone has everything they need. She is respectful, caring, and passionate about her job. From academic to professional life, Stefania is truly an inspiring and valuable member of our team. What made you decide to do Finance and International Business? What made you decide to do Project Management at MSU? What is your favorite part about your job at the English Language Institute? “I think that there’s more than one actually. I guess the most important part for me is like what we do is something that the students will always remember and we change their lives in a way, even though it’s like short-term. I think they are just getting this experience away from home and they grow as personal, professional, or anyway possible when you get away from your country. So me being able to help them to have all these experiences is the best outcome, like my favorite part. I also enjoy the work environment because I feel like, yeah, we work together, but we’re also friends and we support each other and we communicate pretty pretty well. So, I guess finding that in real life is hard…. What advice do you have for English language learners? “My first advice for the students is stop being afraid to talk because that’s the way you learn…. What advice do you have for pursuing dreams?